The Sienna retractable pergola or gazebo from Rowlinson provides a luxurious timber shelter for dining and relaxation that can be fixed directly to a house or wall. This wall mounted sun canopy features a retractable roof that allows you to dine or relax in the sun or shade whenever you desire a change of setting. The chunky, natural timber frame adds a traditional touch, whilst offering a secure and sturdy structure to rely on against the elements. 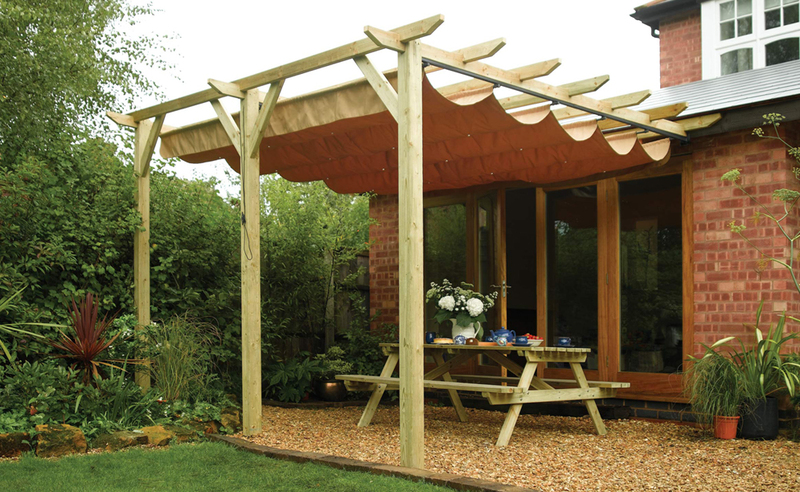 Designed to be a permanent garden structure, this wooden sun canopy is perfect for outdoor dining and entertaining or as a shelter for a hot tub. Click the button below to add the Sienna Retractable Wall Mounted Pergola 390 x 333cm to your wish list.